By Trévon Austin – wsws.org: The evidence is mounting pointing to similarities in the two recent crashes of Boeing 737 Max 8 commercial jets, costing a combined total of 346 lives. At the same time, it is becoming increasingly clear that the new model 737s were rushed into service without the level of pilot training that normally accompanies the introduction of new or redesigned aircraft. 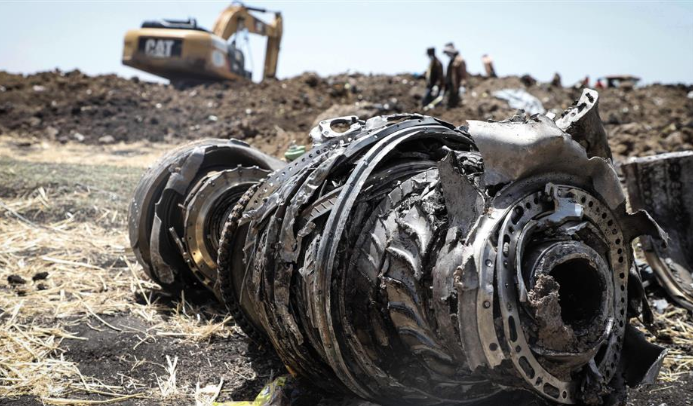 On March 10, Ethiopian Airlines Flight 302 crashed about six minutes after takeoff from the airport in Addis Ababa, killing all 157 passengers and crew aboard. This was only five months after a Lion Air 737 Max 8 crashed minutes after takeoff from the airport in Jakarta, Indonesia, killing all 189 passengers and crew. In both cases, the pilots struggled to keep the nose of the plane from pointing down, and the jets oscillated wildly between ascent and descent, ultimately plunging to their destruction. Since then Boeing has suspended deliveries of the jets to customers while continuing production at the previous, rapid pace. When Boeing was set to begin delivering the aircraft in 2017, a group of pilots union officials who have flown the older 737s put together a training manual without even flying the Max or a simulator. James LaRosa, a 737 captain who helped lead the training group, told the Times he flew to a Boeing training centre in Seattle to learn about the Max.